Which Samsung Refrigerator style do you have? With humble beginnings in 1938 Korea, Samsung has evolved into a world class corporation over the past 7 decades. Although a lot has changed from the earliest days of the company, the core values remain the same. Employing the brightest, most innovative minds has led to product creation unsurpassed by the leading competitors. In the 1970�s Samsung ventured into the realm of manufacturing home appliances including state of the art refrigerators. To this day, they are still a market leader producing top quality, dependable, long-lasting products. Samsung is at the top of their game, remaining a world leader in technologically advanced products designed with you in mind. 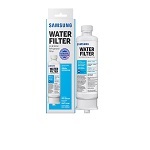 When it is time to replace your Samsung refrigerator filter, look no further than genuine Samsung compatible replacement parts. Samsung Refrigerator Filters install conveniently in your refrigerator that will produce great quality and tasting water and ice from your refrigerator. 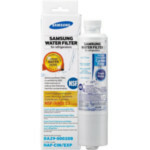 Samsung refrigerator filters remove chlorine and many other different contaminants. 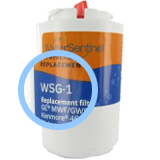 Be sure to replace your Samsung refrigerator filter cartridges every 6 months. The PureH2O PH21300 compatible refrigerator water filter helps keep water cold and refreshing by absorbing chlorine tastes and odors while costing less than the Samsung DA2900003G and EcoAqua EFF-6011A. Hydrate better and save money with the PureH2O PH21310 compatible refrigerator water filter that gives you tastier water and can be used in place of the Samsung DA29-00020B, EcoAqua EFF-6027A, and Water Sentinel WSS-2. 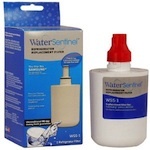 The Samsung DA29-00003F /3G compatible refrigerator water filter removes bad taste, odors, and sediment from water. Utilizing a carbon filter media tested and certified for NSF Standards 42, you get better water right from your refrigerator. 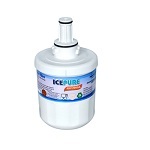 Prepare yourself for this, the IcePure RFC0700A compatible refrigerator water filter offers the same quality chlorine and sediment reduction of the Samsung DA29-00020B and Water Sentinel WSS-2 for a lot less money. The PureH2O Replacement for ClearChoice CLCH105 is the PureH2O PH21310. The PureH2O Replacement for ClearChoice CLCH103 is the PureH2O PH21300. 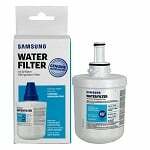 Filters Fast now offers a great price on the discontinued Samsung DA29 00003A refrigerator filter, which has been replaced by the Samsung DA29 00003B and, more recently, the Samsung DA29 00003G refrigerator filters. The PureH2O PH21310 is the compatible replacement refrigerator water filter for the HDX FMS-2. The PureH2O PH21300 is the compatible replacement refrigerator water filter for the Samsung DA97-06317A. 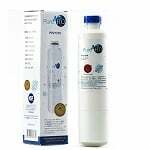 The PureH2O PH21300 is the compatible replacement refrigerator water filter for the Samsung HAFCU1. 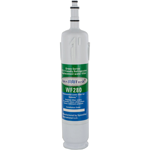 The PureH2O PH21300 is the compatible replacement for the HDX FMS-1 refrigerator water filter. 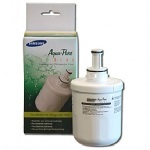 The AquaFresh WF280 is the compatible replacement refrigerator water filter for the Samsung DA29-00012A and DA29-00012B. The PureH2O PH21300 is the compatible Replacement for the Tier1 RWF1110 . The PureH2O PH21300 is the compatible replacement refrigerator water filter for the Samsung DA2900003. This is the Tier1 RWF1011 Compatible by PureH2O. The Samsung HAF-QIN Refrigerator Water Filter delivers clean, fresh water, while protecting your refrigerator and home from potential damage. 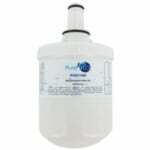 The PureH2O PH21300 is the compatible replacement refrigerator water filter for the Samsung DA29-000038. This is the IcePure RWF2900A compatible Replacement for the Waterdrop WD-DA29-00003G.